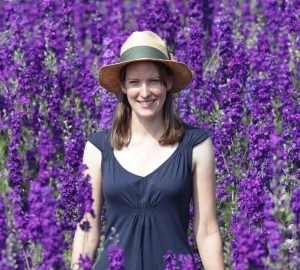 Established in the 1990s, The Real Flower Petal Confetti Company has survived and thrived many ups and downs from Royal Weddings to bad weather, the rise of online shopping and increased competition. Sally Young tells their story. 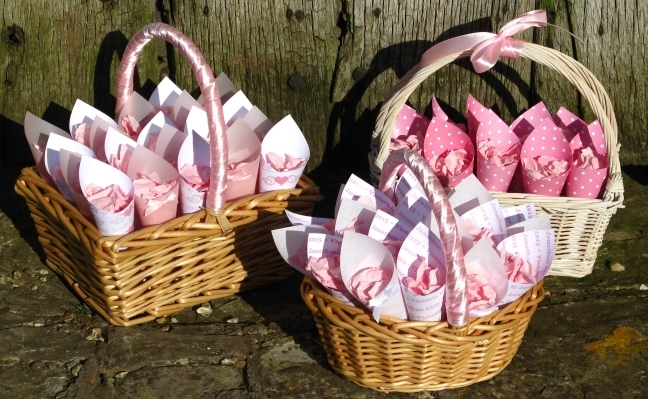 We grow, handpick and sell online biodegradable real flower petal wedding confetti. 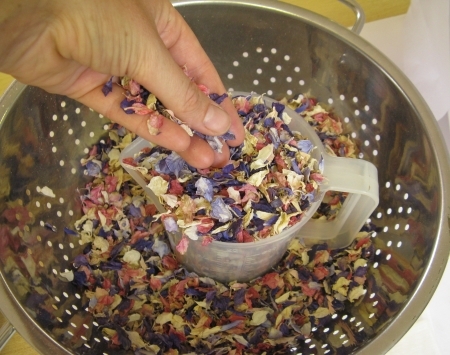 Charles Hudson had the bright idea of growing flower petals for wedding confetti back in the late 1990s, when he was looking for ways to diversify his family farm. Living opposite the village church he noticed all the remnants of paper wedding confetti lying on the road and thought it was a shame that churchyards had been forced to ban confetti because of this mess. Throwing flower petals was a Victorian tradition and he thought that because flowers biodegrade away naturally, they would be an ideal eco-friendly alternative! Charles experimented with lots of different flowers and drying techniques and eventually settled on delphiniums and cornflowers – the pretty summer blooms retain their natural colour and shape when dried in the sunshine and fresh air and because they are small, light petals they hang in the air and make wonderful confetti! Charles began by selling pints of petals (they weigh very little so it’s easier to sell by a recognisable volume!) from his upstairs bedroom, mail order through adverts in wedding magazines, and the business grew through media exposure – it’s an unusual and unique story and the flowers are a beautiful sight to see, so there was lots of interest. As usage of the internet grew and online shopping became more widespread The Real Flower Petal Confetti Company really took off. 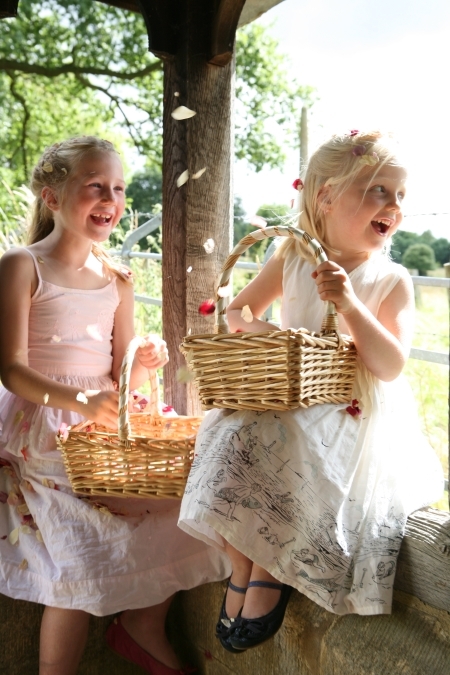 The Real Flower Petal Confetti Company is run by a small team in the Estate Office and like any other small business there is no such thing as a typical day! We do everything ourselves, in house, which makes it an interesting and challenging place to work. Each day we print off new orders from the website and they are all packed up by hand to the customer’s individual requirements. A personal service and attention to detail are very important to us and we all enjoy making up the orders – we describe it as a cross between working in a sweet shop and wrapping Christmas presents! 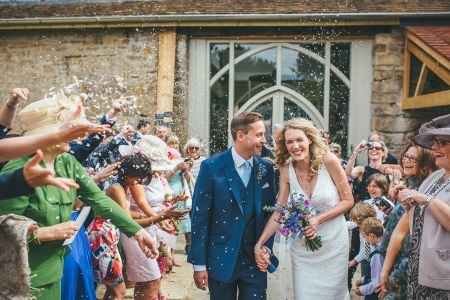 We want the confetti to arrive looking beautiful – a wedding is a one off experience and so it deserves to be special. We will talk to customers and take orders on the phone, advise them as to how much confetti they need and help them choose petals and colours. We answer email queries and questions too. We update and monitor The Real Flower Petal Confetti Company social media accounts, read blogs and magazines and try to keep up with what’s going on with weddings now! We have a long list of updates and improvements to our website that keep us busy, blog posts to write and advertising and marketing leads to follow up or create. There is always a list of jobs that we do our best to achieve in the quieter winter season because in the summer it’s crazy! Confetti is often a last minute purchase so we are very busy all summer. 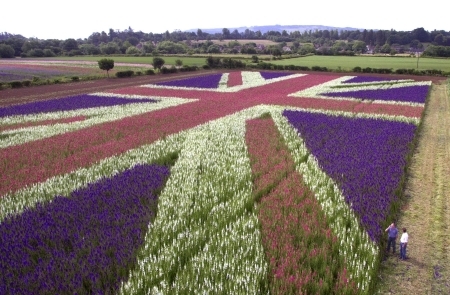 And our fields are in bloom in July – we now open them to the public so everyone can see the beautiful flowers. It’s fun, but hard work! By mid-July the team of local Petal Pickers are harvesting the flowers and we have new stock to dry and store for the coming seasons. We are primarily an online business so the majority of our customer’s come through Google. We advertise in the wedding magazines and on a few blogs and online directories, but we find that because we are such a unique product the traditional avenues of wedding advertising don’t really work that well for us. 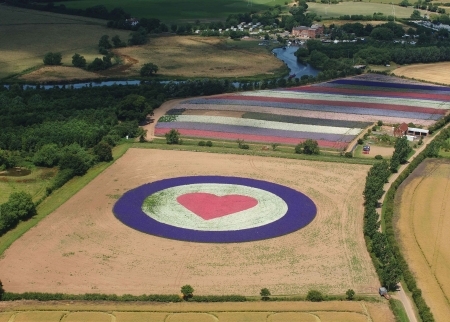 There have been a lot of highlights over the years including our Union Jack World Record Flower Field, the lovely design we planted to raise money for the RAF. It’s always thrilling to see our confetti on TV (most recently Michael Portillo visited on his Railway Journey’s) but of course the moment that really stands out was supplying confetti petals to Prince Charles and Camilla’s wedding in 2005! It was all very secretive and the petals were collected by a man in a black limousine, and then we saw pictures in the newspapers of Prince Harry throwing our confetti! In July 2012 we lost our entire petal harvest to the rain. The farm borders the River Avon and we lost stock due to flooding in 2007, but the summer of 2012 was so wet and cold – watching the flowers literally rotting in the fields was just heart breaking. It’s usually such a spectacular sight. We had to adjust a few product lines to cover the deficit – we also buy in rose petals and hydrangeas, so we concentrated on promoting those over our own home grown flower petals. The following year’s harvest was great, and we have been building up stocks ever since, just in case! There was a lot of trial and error in the early years of The Real Flower Petal Confetti Company, which was a valuable learning curve, but a lot of money was spent in the wrong places – with hindsight I think the company needed a stronger awareness of the target customer. 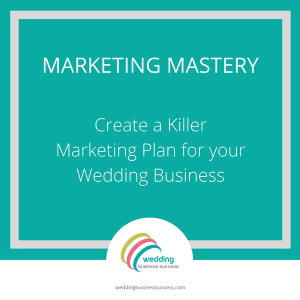 There are so many weddings a year in Britain, it’s really important to know who you are, express that clearly and cohesively, and then target a specific audience – it’s impossible to appeal to everyone! We also spent a lot of energy trying to sell our individual confetti products to large retailers. We had some successes, but never cracked the High Street as we hoped to – we know that confetti sachets sell like hot cakes in the right place, but you are reliant on others to promote your items effectively and they don’t have the passion for your product like you do. This can be very frustrating! Relationships with retailers fizzle out unless they really love and understand your product. Time is money and might have been better spent elsewhere! Our biggest test going forward is the amount of competition we now face. The Real Flower Petal Confetti Company created the market place and traded for many years as a unique company. There are now a few other confetti petal growers in the country, and hundreds of people selling real petal confetti on their own websites, EBay and Amazon. The marketplace has grown, but it’s a huge challenge to make sure we are found over all the new competition. Be confident in yourself and the quality of what you offer. You can’t please everyone, but make sure you do the best possible job for the customers who have found you and like you. Planning a wedding is a once in a lifetime experience and very special to the customer, and even though you will have seen it all many, many, many times before, never let them know that!